The Concertina Museum Collection Ref:C-390. Concertina Summary: A Six-sided German anglo concertina, with scalloped corners and 5-fold bellows . 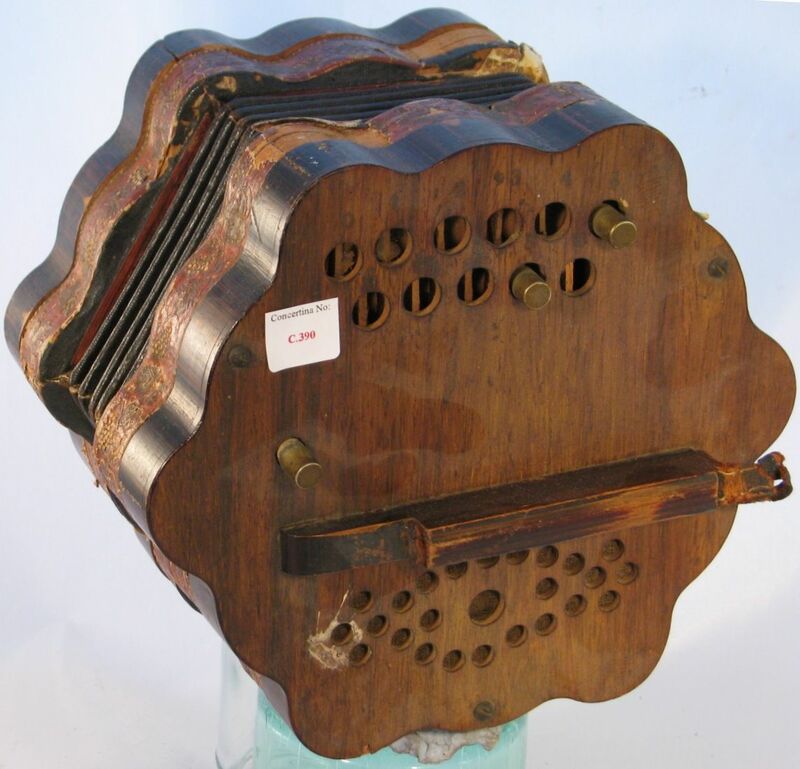 Source Catalogue No: The Concertina Museum Collection Ref:C-390.